In light of its subject matter, it’s surprising that the second season of “Jessica Jones” isn’t more talked-about. After all, its first season tackled sexual assault and the trauma that comes from it, while balancing the lighter elements of a show based on a superhero. Considering the prominence of the #MeToo movement, it would seem at first glance, downright bizarre that “Jessica Jones” hasn’t returned with more interest in it, given the political relevance of its subject matter. Unfortunately, a quick viewing of the season’s first few episodes reveal why the show has landed with such a thud: it’s shockingly boring, refusing to play to its strengths as it moves from one dull plot point to the next. This isn’t even a problem limited to the first episodes; the second half of the season picks up the pace a little bit, but it’s still plagued with a general dullness. 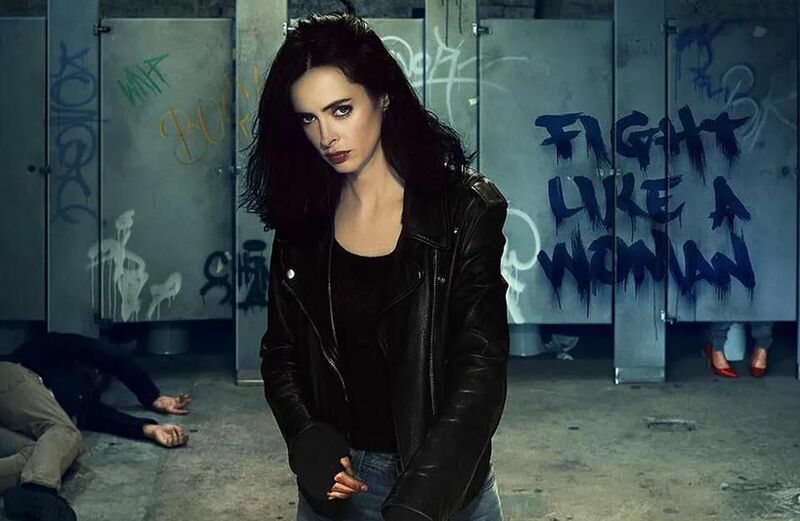 It’s saved from pure tedium almost entirely by the terrific lead performance by Krysten Ritter, whose bitterness and charisma are the heart of the show. The show’s impressive first season followed its titular character after the horrific abuse she experienced at the hands of the villainous Killgrave (the always excellent David Tennant), a man with the power to command everyone to do his bidding. Over the course of 13 episodes, Jones, working as a private eye, learned to overcome the trauma she suffered at the hands of his abuse. It was satisfying television, able to grapple with both serious, real-life issues, without losing sight of its corny, comic-book roots. Now, in its second season, Jones must pursue the people who originally gave her powers, after a car accident which killed her and her family, before she was revived. Or at least, that’s how the show should’ve been written. Instead of actively pursuing questions at the heart of her own existence, Jones is forced, time and time again, by her friends to pursue the shadowy scientists who created who she is today. It’s the first of several shockingly bad story decisions, robbing the first six episodes of any real tension, narrative momentum, and a reason to really care about Jones’ story. (Why should we care about a mystery that the protagonist isn’t interested in solving? I don’t know either.) Meanwhile, as Jones refuses to seek answers and confront the horrors of her past, the show plods along with little of interest. The show’s writing picks up a little bit at the halfway point, where it’s revealed that (spoiler alert), Jones’ mother is still alive, as she was brought back to life alongside Jones. Portrayed by the frenetic and terrifying Janet McTeer, she’s both a compelling villain and the season’s emotional heart. She possesses more strength, and more instability than her daughter, making her both a threat to the world, and someone for Jones to want to protect. While—like many of the show’s best ideas this season—the dynamic between mother and daughter Jones is underdeveloped, it’s still a highlight of the season. But the plot is not only underdeveloped, it’s surrounded by several subplots that go nowhere and add nothing to the show’s themes. Jeri Hogarth (Carrie Anne-Moss), a high-power lawyer with connections to Jones, is diagnosed with ALS and must deal with the consequences. Jones’ adopted sister Trish (Rachel Taylor, the cast’s weakest link by far), struggles with both past and current addiction, this time to an inhaler created by the people who originally gave Jones superpowers. The inhaler contains chemicals that give the user an adrenaline rush, heightened senses, etc. While these themes sound relevant to a show about recovering from trauma and dealing with life’s difficulties, these exactreplica subplots are shockingly irrelevant to anything happening in the show this season and go absolutely nowhere. Hogarth’s ALS diagnosis leads to some decent character moments, but feels completely disconnected from the larger storyline, and never builds to any kind of conclusion or even a basic character arc. Taylor’s addiction storyline, on the other hand, feels like a forced attempt to give her superpowers for the next season. It’s never clear what motivates or causes her to become addicted in the first place, and all the exploration of what addiction does to someone and their personal life is completely forced as a result. It’s a shame for so many reasons, not the least of which is the excellent cast who are often left with little of interest to do. Moss, of “The Matrix” fame, is surprisingly good here, with a nuanced, grounded performance. As her character struggles with her ALS diagnosis, Moss subtly portrays her character’s fears and desperations, especially as someone used to a position of power. Eka Darville is similarly excellent as Malcolm Ducasse, Jones’ assistant who gains enough confidence to solve his own cases. Darville is both a charming sidekick, and a character with enough emotional depth to carry his own, non-comedic relief scenes. But, the show’s greatest strength is in its lead actress. Ritter, known previously for her brief-but-memorable role on “Breaking Bad,” and a short-lived ABC sitcom, is unwaveringly terrific as Jones. In every scene she’s in, she exudes both confidence and fear, portraying Jones as someone who’s both genuinely tough, and putting on an act to hide her own insecurities and trauma. It’s genuinely fantastic stuff, carrying the show through even its weakest sections. Henry can be reached at hspiro@wesleyan.edu and on Twitter @judgeymcjudge1. Season one was great, perhaps the best of the Marvel Netflix series. Season two stunk, although Ritter was still good. Let’s hope for better things for Season three, and a much better treatment of Patsy. The writers made her thoroughly unlikable in season two.